Now that SBrick Kickstarter project has reached its funding goal, it's time to proceed with execution and move forward with all the development still to be done. One important aspect is full compatibility with the widest range of mobile devices that you are planning to use with your SBrick. 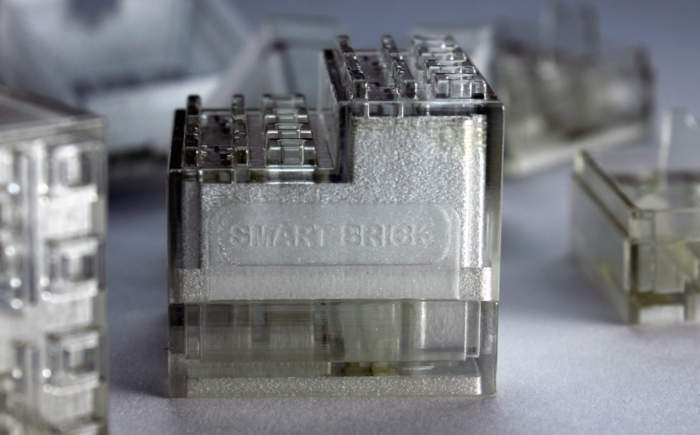 Being a BLE (or Bluetooth Smart) device we already know SBrick will require a Bluetooth Smart Ready mobile device to work with. Here you can find a list of current Bluetooth Smart Ready devices as published by Bluetooth SIG (Special Interest Group). We at TBs wanted to help SBrick development team, to profile what devices SBrick bakers plan to use to control their SBricks. So we launched a few polls that may help them to profile the users and focus or prioritize development tasks, tests, etc. Which OS will you use for your SBrick mobile app? Which resolution does your SBrick mobile device supports? Which mobile device do you plan to use with your SBrick? As usual if none of the options presented reflect your devices, please chose "other" and specify posting a comment to this post. Let's help the SBrick team to take the most of your SBrick! Meanwhile we are getting close to the end of the KS campaign (3 days to go), hence do not forget to pledge if you have not already done that, or to raise your pledge even further! In the near term I should consider a new Android smartphone, as my old HTC Sensation does not support BT4.0. My HTC One has a widescreen resolution of 1920x1080. That is clearly a common resolution and missing in the vote. It is running Android 4.4.2 Kitkat. I acknowledge there are common entries missing in the polls. They were made with inputs from SBrick team, and now it is too late to edit the polls. Please keep posting your configurations if you won't find them listed. I would like to point out, while my current phone is probably too old to be worth developing for (Blackberry 9900), I would be looking at a BB10 device once I upgrade. I would love support for BB10 at all. But I don't think that is the most practical device for this application. A phone is much more practical in my opinion. I wonder, but could it work with Mindstorms EV3 which has bluetooth? It was mentioned somewhere that PS3 controllers are compatible; if so, I wonder if this one could be used? iPhone 4S iOS 7 and whatever updates are released. I don't know the screen resolution. Looking forward to seeing this happen very much. I will be using my Microsoft Surface Pro 2 tablet with its Bluetooth capability. It is not a "phone", but uses Windows 8.1. But most of my work will be on Raspberry Pi with Raspbian and Ubuntu laptop, not on smart phones. Samsung Galaxy Note 2 - 1280x720. Aiming for a Raspberry Pi connected to a USB BT 4.0 dongle and an Xbox 360 wireless controller. I suppose I'd better get started on the RasPi and Xbox controller part now. Off course, this poll requires having a smartphone. But what percentage of all Lego Builders actually has a smart phone? I think that could be a good thing for a poll in the first place: children of 9 years old want to play with this. Do all parents give smartphones to their young children in the first place? Well... I think the SBrick target audience is not exactly the same as the LEGO Technic official target. I believe the SBrick development team is well aware that having a smartphone is pre-requisite to play with SBrick and it was intentionally developed that way. Although there are alternatives in the drawing board, like BT remotes from gaming consoles. So we start from the assumption that a smartphone is a pre-requisite regardless of the main audience targeted with SBrick. IMO it is not intended as a mass-market product and maybe that's also one of the main reasons we shouldn't see an equivalent from LEGO for the next few years. There are plenty of reasons for LEGO to not do it in the short term at least. I think you are right, the Sbrick will be bought more by the slightly 'older' and more experienced builders. But it is a good initiative! I am waiting now on several other 'edited' Power functions: an XL motor with race buggy motor speed and torque, Small PF S motor and last but not least: chip tuning 2x4 brick which converts the 9 volts from the batteries into 11 volts to increase motor speeds. They are only speculations, but one thing is sure: thanks to the 3D-printer, a lot more is possible. Maybe an idea for the Sbrick team: do something with Lego Mindstorms. Bluetooth can connect Technic&Mindstorms now because of the S-brick. MS windows 8,1 on my Lenovo Yoga PC. is it possible? ?